We hear athletes, musicians and performers heap praise on the crowds that come out, sometimes by the tens of thousands, to watch them put their talents on display. “We couldn’t do it without the fans” they proudly boast into the microphone or in front of the television cameras. But without safe and secure aluminum bleachers to accommodate these fans, those performers and athletes would be left to perform in an empty venue, while the only cheering and applause they hear would come from their own teammates or group members. Bleacher seating is an integral component of any major event, whether it’s a peewee football scrimmage, a high school homecoming game or a superstar rock concert coming to a city near you. And it’s imperative that aluminum bleachers are safe and up to the task of safely holding up to all of the movements, shifting, and safe loading and unloading of fans and spectators before, during, and after the event. But the fact of the matter is that once the seating is installed, there needs to be a proper maintenance schedule adhered to, including mandated annual inspections. Organizations and event spaces may have their own maintenance crew on hand to look things over, clean, polish, and paint some of the areas, sprucing it up for upcoming events. But are they really checking their aluminum bleachers for hidden dangers related to safety? Are they checking each connection for durability, stability, and load strength? Not likely, and over time, this practice can lead to slowly progressing, yet potentially catastrophic changes in the viability and integrity of your aluminum bleacher seating. These changes ultimately result in the loss of bleacher capacity, unplanned costs associated with the repair or replacement of the aluminum bleachers themselves, or in a worst case scenario, an injury directly related to improper bleacher maintenance and material degradation. Examples of aluminum bleachers unexpectedly failing, or deemed unsafe by authorities are not hard to find. From high schools that experience fans breaking through old floorboards, to bleachers being condemned just a week before a school was to show itself in a playoff game held at their school, neglected bleachers can be the cause of major safety concerns. Then there’s the issue of having nowhere for your fans to sit and enjoy the games. That can cause the loss of revenue, or the movement of games to offsite, less than accommodating venues. That also takes away that home field advantage that your team worked so hard for during the regular season. Less than a year ago (June 2016), half of the 5000-seat capacity bleachers at Baynard Stadium, the home field to four high schools in the Wilmington, Delaware, area, were condemned after being found to be “at the end of their useful lifespan”, by The Delaware Department of Natural Resources and Environmental Control. The seating capacity of the athletic complex was immediately cut in half. And one of those schools, Salesianum High School, routinely filled 80% of these seats because of their extensive fan base. And the remaining bleachers that were still considered usable were only allowed to do so pending an approved upgrade. With this news, an upcoming D1AA football game scheduled at that particular venue, was now in question since there wasn’t adequate seating to accommodate and separate the fans of both schools. Although the Executive Director of the Delaware Interscholastic Athletic Association agreed that the upgrade, including a major investment in infrastructure, would not only be worth it, but would pay for itself in the long run, that wasn’t an immediate solution for the upcoming, scheduled games and events. While the major renovations were being contemplated, temporary, portable aluminum bleachers were brought in, allowing the games to be held as planned with a few modifications. Those portable bleachers would be used for the duration of the upgrade, being set up, moved and specifically positioned as needed for the field events. A lawn tractor pulls 5-row bleachers to another location. Additional real-life scenarios involve a high school’s bleachers being condemned just a week before their first football playoff game. An obvious disruption during what should’ve been a truly exciting time for the school, players and students. These bleachers were only 10 years old, but the proper maintenance and inspection plans obviously weren’t in place, causing the school the embarrassment of potentially losing revenue while having to notify their fans that the place they planned to sit and watch the game was in fact unsafe. Portable aluminum bleachers were brought in to be the solution to this unplanned, challenging situation, allowing the school to keep the game at their home field. It’s never a bad time to invest in portable bleachers, but it’s critical for important games or events that depend on the use of bleacher seating to hold all of the spectators and guests. These moveable bleachers can help out in a pinch, should the crowd be larger than anticipated, or the unthinkable happens without the time to fix it. These products only come in 5-row bleachers and 10-row bleachers and unfortunately, not in the larger 15-row bleachers. Note – you must use a transportable bleacher tow kit to move these bleachers and that kit can only be used for bleachers that are built specifically for this purpose. 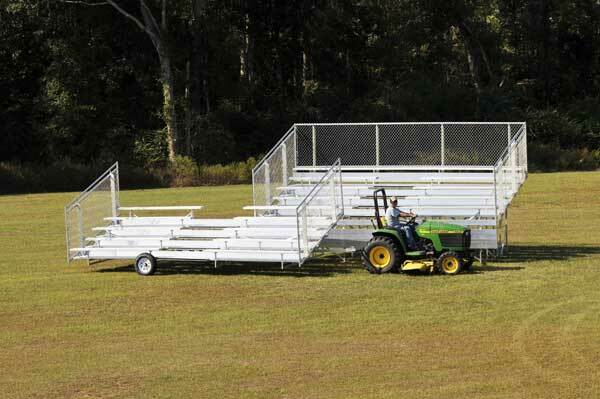 In addition, these transportable bleachers are designed only to be relocated on a field or venue by a tractor or suitable vehicle. They are not meant to be transported on an open highway. Customizable seating. When hosting different sporting or community events, portable bleachers can be positioned for optimal use. Portable, moveable bleachers can be positioned in the prime viewing configuration for the fans and spectators, providing the best sightlines and views of the on-field activity. 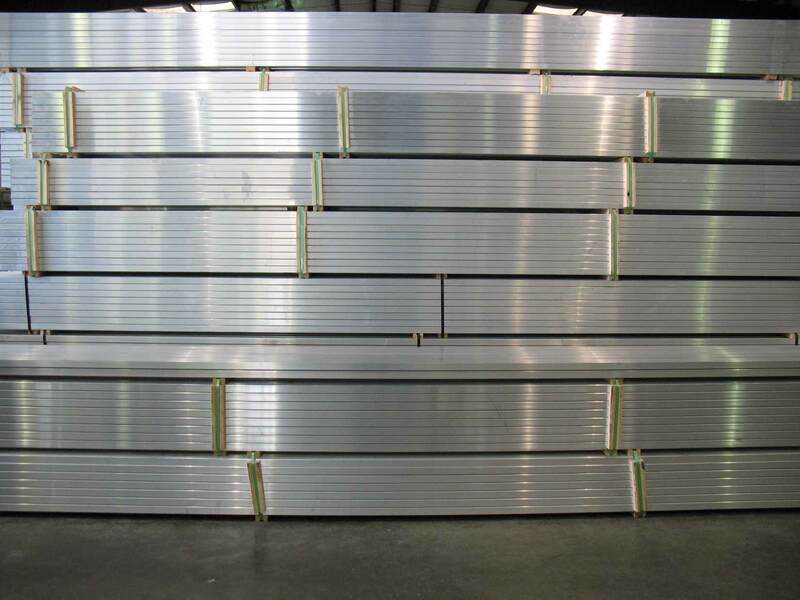 As described by the name, these aluminum bleachers are totally portable and able to be put wherever they are needed, at the specific angle and viewing position that they are needed. Ease of installation. 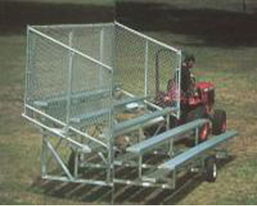 Portable bleachers can be built immediately and kept on the field or in storage so they are ready to move when needed. Extra seating when needed. Having some portable aluminum bleachers at your disposal actually decreases a number of fixed bleachers you may need. The portable bleachers can then be relocated for different events that demand more seating or the fan base suddenly became considerably larger. Portable bleachers provide the overflow seating to make sure there are safe and secure seating for everyone that chooses to participate. Easily stored when not in use. Portable aluminum bleachers can be stored, either on or off site for future use. Or they can be moved to another venue that can take advantage of extra seating during a particular sport, event, or presentation. From the different fields used at different times for seasonal sports to the necessity of extra seats in a gymnasium, auditorium or conference facility, portable bleachers can be used at multiple sites with minimum disruptions. Transportable bleachers have been shown to be the answer for many unfortunate and unplanned disruptions regarding the ability to provide enough safe and secure seating choices for a community’s fan base. They are a viable solution for those events that project a larger than expected or planned attendance. For example, when a team is on a big winning streak or they are playing a big neighboring rival. They are also a solution for those times when the previously installed bleachers fail, or are in questionable condition. But they are also valuable when you need extra seating at uniquely different venues at different times of the year. A graduation for example. The portability allows versatility of bleacher setup location. Whenever seating capacity is in question or cause for concern, portable aluminum bleachers are your best solution.